In this file photo from November 2016, Daniella Tessier pets a rescued veal cow in one of the large pastures at Peace Ridge. The farm animal sanctuary has a new, 800-acre home in Brooks where more pigs, chickens, goats and other rescued animals can live out their lives more freely. File photo of Max, a Belgian draft horse, who was emaciated and near starvation when he was taken from his owner's home in Washington County. He was brought to Peace Ridge Sanctuary in Brooks, which rescues abused and neglected farmed animals. 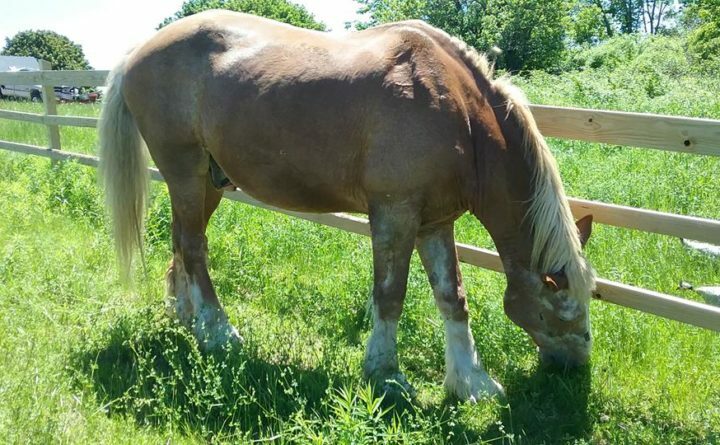 Just six months after Max, a geriatric Belgian draft horse, was rescued and taken to Peace Ridge Sanctuary, he had regained 700 pounds and was on the road back to health. Every winter, Daniella Tessier of the Peace Ridge Sanctuary in Brooks sees Maine farm animals that are suffering neglect or abuse and tries her best to offer them the care they need. But often, the need is much greater than her ability to meet it. Many people don’t understand the amount of care it takes to raise farm animals such as pigs, cows or goats, said Liam Hughes, the director of the state’s Animal Welfare Program. Even smaller animals, such as chickens or rabbits, may pose unexpected challenges. Tessier is cautiously optimistic about Gov. Paul LePage’s announcement on Jan. 29 that he will create a new committee to review Maine’s animal cruelty laws and determine how the Department of Agriculture, Conservation and Forestry can better respond to cases of animal abuse. From Tessier’s perspective, it’s far past time that the issue get more attention from lawmakers. But she’s not expecting the committee to fix the problem she calls huge and pervasive. Her shelter is full to capacity right now and she said she can’t come close to meeting the demand. 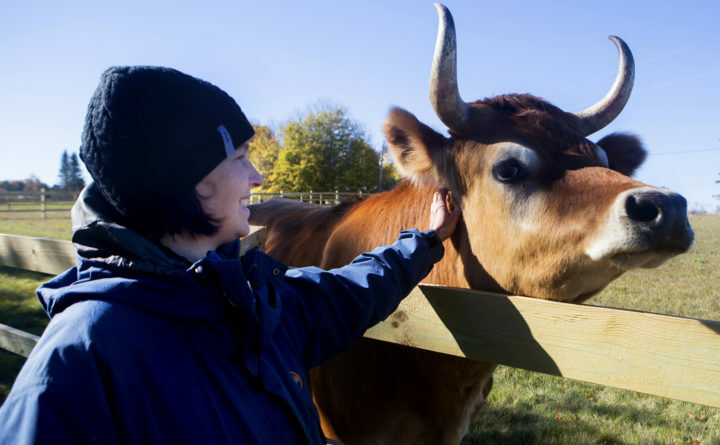 Tessier, whose sanctuary is home to more than 240 farmed animals, has no lack of sad or disturbing anecdotes to share about the dark side of Maine’s farming and homesteading renaissance. She has seen piglets that have frozen to death in inadequate winter shelters, and provides a safe home to a flock of neglected goats that were rescued three winters ago from a tough life at a private dairy in Aroostook County. Those goats were found living atop a 25-foot manure pile in the dairy barn. One of her recent success stories is Max, a geriatric Belgian draft horse that was rescued in the nick of time from his Washington County home, where he worked hard twitching out logs from the woods. When Max came to Peace Ridge Sanctuary last December, he was emaciated and starving, with scars all over his face from his work halters and infected hooves that were in terrible shape. Max weighed just 1,100 pounds, almost 1,000 pounds less than a typical draft horse of his size. Today, Max, whose age is estimated to be between 22 and 25 years, is well on the road back to health. He weighs 2,100 pounds, has both human and equine friends and no longer has to work. But he shouldn’t have had to come so close to tragedy. Working animals need more care, not less, especially in the winter, she and other experts said. They need nutritious food and lots of it, plenty of water and a dry place to be protected from the weather. A lot of this is just plain common sense, but unfortunately not everyone has it, or has fully anticipated how much money, attention or care a farm animal would require. Hughes said in early February that his department has been stretched thin of late. Officials responding to a complaint will first endeavor to work with the owners of the animals and help them find resources to ensure better care. “If all else fails, and the animal’s lives are in danger and there’s a crime being committed, we will remove animals,” he said. 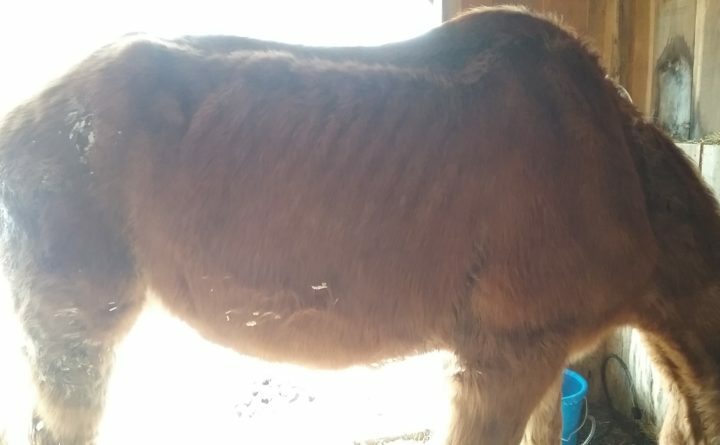 Recently, his agency has been handling the case of the farm in Sorrento where 110 animals were seized because they allegedly were living in inhumane conditions, as well as many other cases that have not made news headlines. Rick Kersbergen, a University of Maine Cooperative Extension professor of sustainable dairy and forage systems, said that nutrition, or the lack thereof, is what he finds to be the biggest problem in regards to farm animal welfare. However, Tessier doesn’t believe that money alone is at the root of the problem of farm animal abuse and neglect. For her, the heart of the problem is the cultural paradigm that seems to separate farm animals from cats, dogs and other traditional pets.